Rendezvous café is a casual dining café where people come to meet, converse, share ideas, and enjoy coffee, crepes, panini, smoothies, and baked goods, sit in a table or enjoy the lounge area with comfortable seating and T.V. Come visit The Daily Paper serving breakfast and lunch 7 days a week. We are conveniently located on West Main Street in Hyannis, and our newest location in downtown Hyannis at 546 Main Street. Chef owned and operated, we serve only the freshest products possible. We proudly pour coffee from The Beanstock Roasters of Wellfleet, MA and we are... show more Come visit The Daily Paper serving breakfast and lunch 7 days a week. We are conveniently located on West Main Street in Hyannis, and our newest location in downtown Hyannis at 546 Main Street. Chef owned and operated, we serve only the freshest products possible. 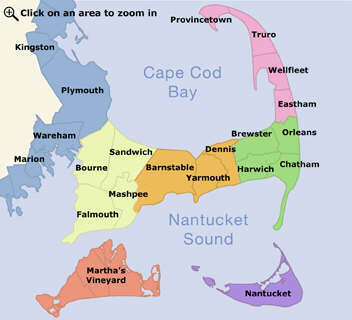 We proudly pour coffee from The Beanstock Roasters of Wellfleet, MA and we are thrilled to serve Cape Cod Beer on tap. Our fish and produce come from local purveyors as well. Our goal is to prepare great food for you in a simple way, and create a warm and friendly atmosphere that will make you want to come back again and again. Our store has always been a part of our bakery. In the beginning we only sold bread and throughout the years it has become one of the rare local stores where you can come and enjoy different gourmet treats. Visit soon to satisfy your gourmet lover’s cravings!